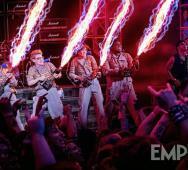 Paul Feig’s Ghostbusters (2016) has a new “open fire” photo attached via Empire. Melissa McCarthy, Kristen Wiig, Kate McKinnon, and Leslie Jones open fire on stage. Ghostbusters opens in theaters on July 15, 2016. James Bobin‘s Alice Through the Looking Glass (2016) released another trailer titled “Tea Time, Forever.” Production designer Dan Hennah really nailed the Tim Burton feel. The late Alan Rickman narrates the video. 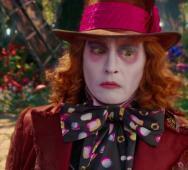 Alice Through the Looking Glass releases in movie theaters on May 27, 2016. Johnny Depp, Anne Hathaway, and Helena Bonham Carter star in Alice Through the Looking Glass. Have you gotten time to finish Marvel and Netflix’s Daredevil Season 2 yet? 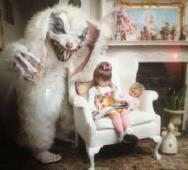 Here is a video detailing every Easter Egg, cameo, and reference in this video breakdown. This video is not spoiler free obviously. Thanks to Mr. Sunday Movies for posting this video. Zoe Saldana recently shared some photos of herself as Gamora from the set of James Gunn’s Guardians of the Galaxy Vol. 2 (2017). One photo features Zoe Saldana winking at the camera like “I got this!” The other photo features her kids playing with mommy Saldana in full Gamora costume, best photo here. Guardians of the Galaxy Vol. 2 releases in movie theaters on May 5, 2017. FOX’s Wayward Pines Season 2 dropped a behind-the-scenes at Wondercon 2016. 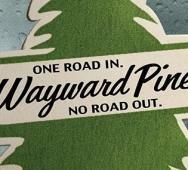 The second season of Wayward Pines premieres this upcoming Summer 2016. M. Night Shyamalan returns as executive producer and Jason Patric and Djimon Hounsou join the existing cast members from the previous season including Terrence Howard, Carla Gugino, Toby Jones, Melissa Leo, Tim Griffin, Shannyn Sossamon, and Charlie Tahan. Robert Kirkman comic fans will finally get to see Negan (played by Jeffrey Dean Morgan) in AMC’s The Walking Dead Season 6 finale episode titled “Last Day on Earth.” This photo is the confirmation, more like the extra tease, that many fans of The Walking Dead have been waiting for these last few weeks. We get to see way more of Negan’s barbed wire-wrapped baseball bat, named Lucille. Sunday, April 3, 2016, cannot come fast enough so we can see the final 90-minute episode. I hope they do not show Negan for the last 10 minutes, so we are left eagerly awaiting The Walking Dead Season 7 premiere. New Friday the 13th producers Brad Fuller and Andrew Form recently dropped a bit of news that formerly attached director David Bruckner had a few ideas that included a found footage Friday the 13th that was quickly shot down by fans, but they revealed one idea may stick. The idea of the new Friday the 13th movie taking place in the past, in the 80’s, seems like it is the angle they will go with the film. 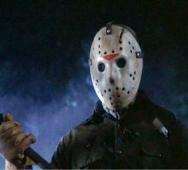 Jason Voorhees goes back to the 80’s or even the 90’s. Michael Thelin’s Emelie (2015) releases on Blu-ray/DVD on May 3, 2016, via Dark Sky Films. 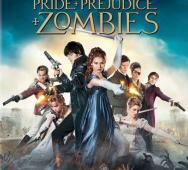 This press release does not mention any bonus features. 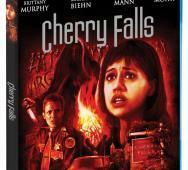 We included the cover art for the DVD below. 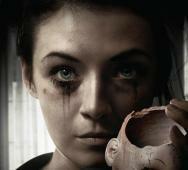 Sarah Bolger, Carly Adams, and Carl Bailey star Emelie. Are you ready to watch Starz’s Ash vs Evil Dead Season 2 already? 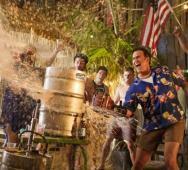 Here is a first look photo of Ash Williams (Bruce Campbell) hitting a keg with his trademark chainsaw as he relaxes in Florida. Executive producer Craig DiGregorio promises that these “good times” will be cut short as the “party is cut short when [Ash] must return home to continue the fight against evil.” Brock Williams, Ted Raimi, and Michelle Hurd join Season 2 of Ash vs Evil Dead with the TV show returning sometime around Halloween 2016. Here are the latest set of photos for A&E’s Bates Motel Season 4 Episode 4 titled “Lights of Winter.” There are six photos in this photo gallery. 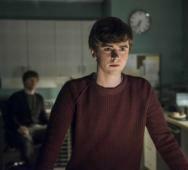 Tell us, are you still watching Bates Motel? Warner Bros. just released a new deleted scene video titled “Communion” for Zack Snyder‘s Batman v Superman: Dawn of Justice (2016). 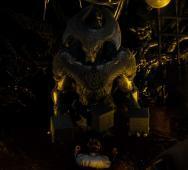 This scene is amazing because it shows Lex Luther (Jesse Eisenberg) in front of some huge creature holding what looks like Mother Boxes, linking supervillain Darkseid. Great scene but it would have probably been too much set up for the Justice League movies, further alienating viewers of this film and confusing them without seeing the bigger picture that executives and higher ups are seeing right now. Batman v Superman: Dawn of Justice stars Ben Affleck, Henry Cavill, Amy Adams, and Gal Gadot. 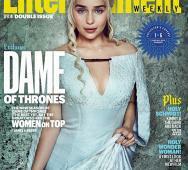 HBO’s Game of Thrones Season 6 received a special Entertainment Weekly cover set featuring the many women from the Game of Thrones TV series. Game of Thrones premieres on HBO this April 24, 2016. Which cover is your favorite? The pilot episode of AMC’s Preacher TV series premiered at Wondercon 2016, tight-lipped on that. 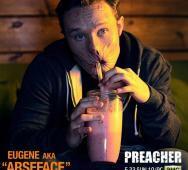 Moving on, here is a first look photo of Eugene “Arseface” Root, played by Ian Colletti, perhaps one of the shows most popular characters. AMC’s Preacher premieres on AMC on May 22, 2016. Preacher stars Dominic Cooper, Tom Brooke, and W. Earl Brown. 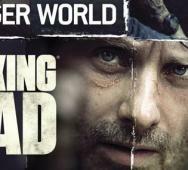 I am totally psyched to see AMC’s The Walking Dead Season 6 finale episode. Here are some photos and videos to tease you until we get to see that 90-minute episode. 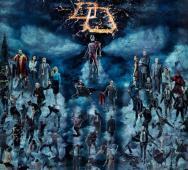 The episode is titled “Last Day on Earth”, once again teasing that major character death. 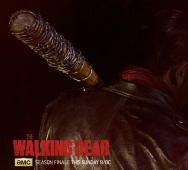 This episode is directed by Greg Nicotero premiering Sunday, April 3rd at 9:00 pm EST. 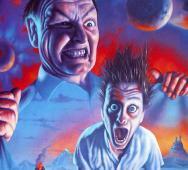 KILLER KLOWNS FROM OUTER SPACE TV Series!? 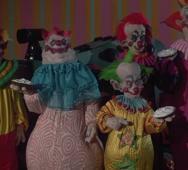 Killer Klowns From Outer Space could soon have a four-part miniseries debut according to director/writer Stephen Chiodo. The TV series could air on cable soon. Chiodo explains that he could not determine if he wanted to make a sequel or remake so he made a “requel,” both sequel and remake. This new story will include new people battling the Klown invasion with guest appearances from some of the original cast periodically with their stories of what happened over the last 25 years. 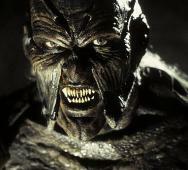 Here is an audition video of Jonathan Breck auditioning for the role of The Creeper in Jeepers Creepers (2001). This video looks a little comical at times but just imagine The Creeper mask on like Breck is, then it gets creepy. The end of the video shows Breck intensely invading someone’s personal space to freak him out.